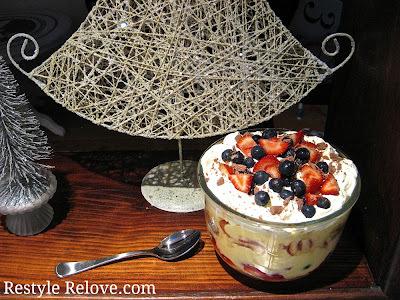 This summer berry trifle is super easy and extra yummy! 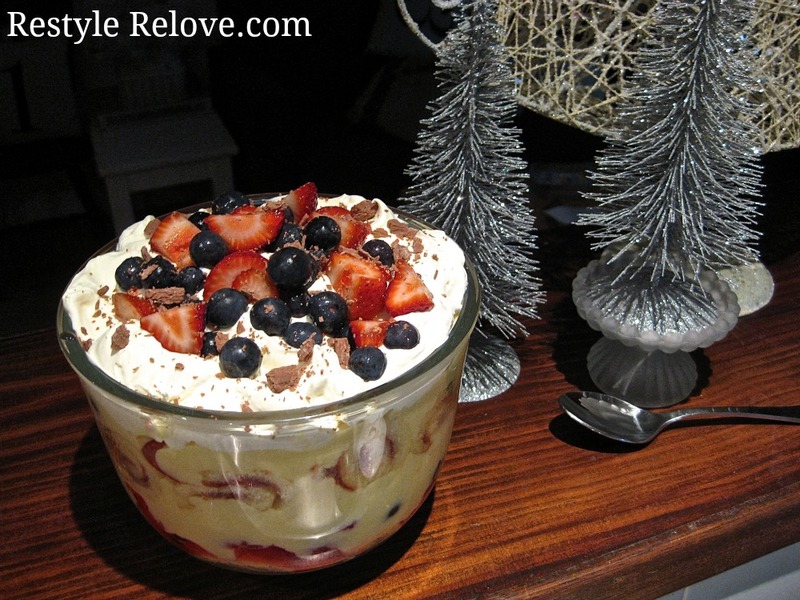 Simply layer jam rollette slices, apple juice, chopped jelly, mixed fresh strawberries and blueberries, and double thick custard in two layers. 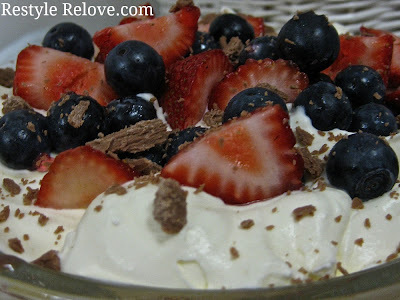 Then top with whipped double thick cream, more berries and sprinkle with flaked chocolate. 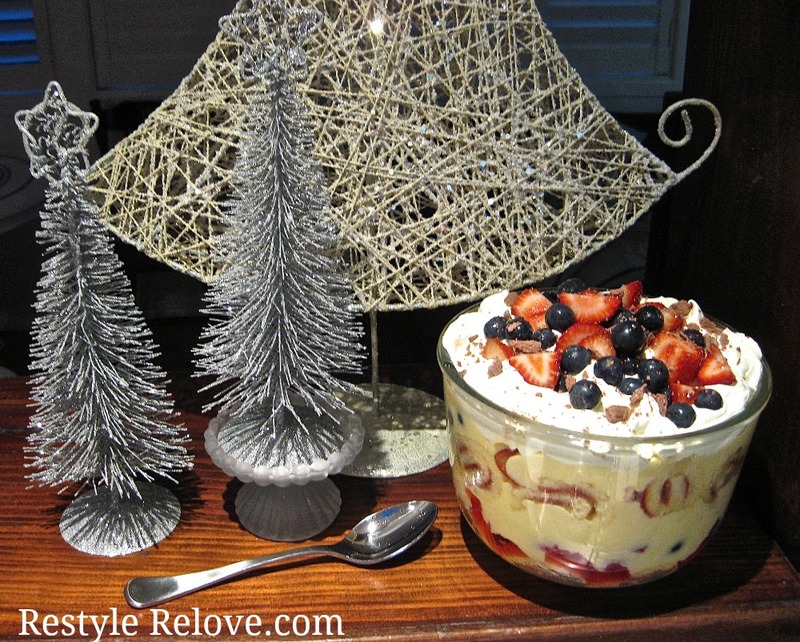 I made this last night with the kids and we can't wait to have it for Christmas dessert today! 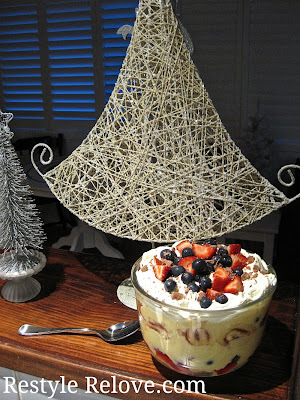 Hope you all have a lovely Christmas Day!